Here’s a summary of important articles from the past week that may give you more insight into the world of college life, admissions, financing, and parenting. 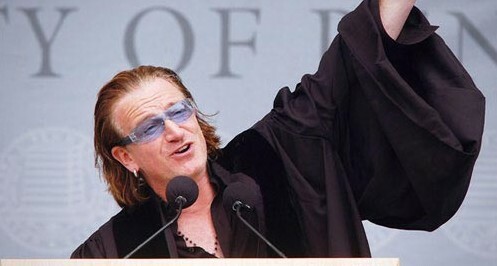 The R2C Takeaway: This author may not be Bono, but she offers her commencement speech with lessons learned from decades of life. The R2C Takeaway: There are many small, less-noticed, and less-advertised universities out there that offer amazing programs to students. Parents should not limit themselves by assuming the USA Today ranking are the only things they need to consider when helping their children explore schools. The landscape is broad and there are lots of variables to consider. What Happens to People Who Go to Colleges No One Has Ever Heard Of? The R2C Takeaway: One need not assume that you can only be successful later in life if you attend an elite school. There are many lower-tier, highly-regarded schools all over the country that can offer students an excellent education. Parents (and students) need to distance themselves from the bias that prestige is the only thing that matters. There is data that can support this philosophy, and it readily available. The R2C Takeaway: There are so many things a student needs to know before applying for student loans, but the one most important thing parents can do is discuss the family financial situation long before the first Financial Aid reward letter arrives. Laying it all on the line will help the student prepare and hopefully ward off any shock later on. Keeping track of money and maintaining spread sheets can really help everyone get organized. The R2C Takeaway: In the NCAA (for all its many issues), if you violate rules, game results can be voided and championships taken away. Why doesn’t the same logic apply to pro football? What lessons are we teaching students and fans? The R2C Takeaway: As surprising as it may seem, parents can challenge financial aid offers that come with college acceptance packages. It could mean “the difference between six figures of debt and no debt at all.” Be firm when negotiating, know your “stuff,” and consider the options. Kalman Chany’s book, “Paying For College Without Going Broke” was one of the first of its kind to deal with this issue and it still can serve as a great resource for parents.